Today I’m handing the blogging reins over to my husband Steve. In My Week That Was #3, I mentioned how he went on a team-building night out at Yo! Sushi, and had a go at making sushi at their Sushi School in Chelmsford, Essex. I promised that he’d do a write up about it, so here it is! We have done a sushi making class at a Yo! Sushi in London, many years ago (pre-blog!) and I was jealous that he got to have a go again! There are currently lots of changes going on in our office at the moment and it seems that morale is starting to drop, So, a few weeks ago, it was decided that it was time for some morale boosting, team-building fun. We were all asked for our suggestions, which included the usual bowling, meal out or drink-up. But, having done all these several times before it seemed like we were just recycling the same old routine all over again. So, one day, whilst I was taking my usual lunchtime stroll into Chelmsford town centre, I happened to walk past the newly opened Yo! Sushi. Nothing unusual there you might think, until something in the window caught my intention, it was a poster advertising Sushi School So, I went in, picked up some leaflets and took them back to the office. It was there that I presented by radical suggestion of sushi making to the other staff in the office and an exciting twist on a team building exercise. And, despite the initial scepticism of a few members of staff, my suggestion won out over the previous ideas. Currently, in the Chelmsford Yo! Sushi, there are 4 dedicated booths for Sushi School with each one holding up to 4 people. This area was towards the back of the restaurant, which made it easier to hear our teachers speaking whilst still being able to take in the sights and smells of the restaurant. 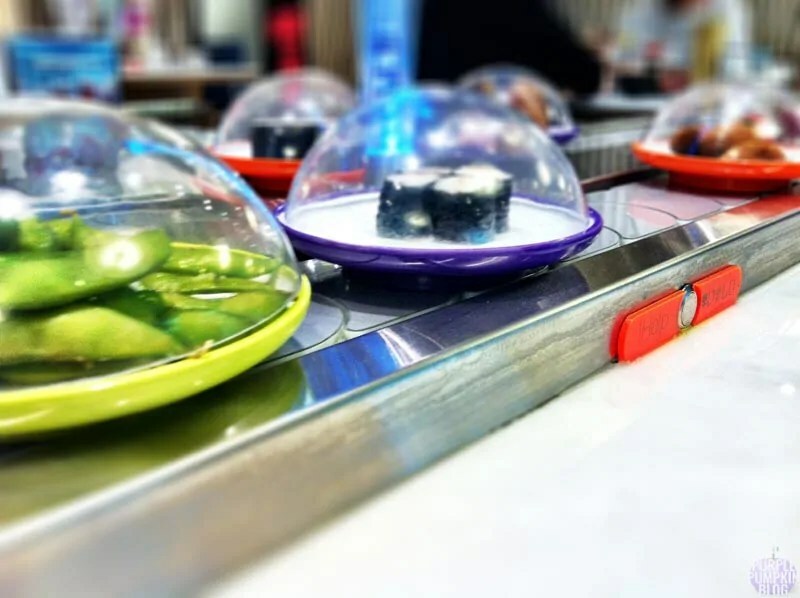 For those of you unfamiliar with a sushi restaurant, there tends to be a carousel circling around upon which various dishes on colour coded plates can be seen and selected. You can of course order items off the menu as well, but just seeing pre-prepared items going past you on a carousel is what sets the aside from other restaurants. On the tables in front of us we had a bamboo mat for rolling the sushi and then several bowls and dishes with various ingredients ranging from cucumber, carrot, tofu, and breaded chicken to seaweed, nori, shichimi powder and sesame seeds. 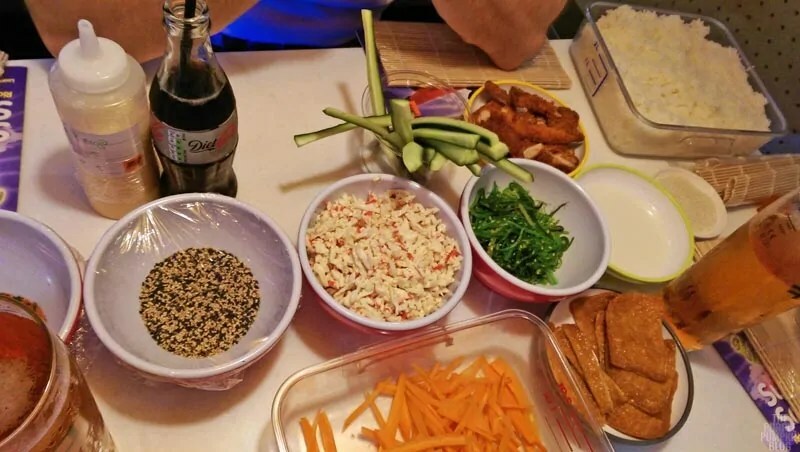 The first dish our teacher informed us we would make was cucumber maki, and, after a brief demonstration and some history classes we proceeded to have a go ourselves. Once completed, these were taken away from us to be sliced up and then returned so we could compare them with each other. My attempt was a bit wonky, the cucumber is supposed to be in the middle, but still we all had a good laugh comparing results. The bonus being that not only did you make the sushi yourself but then you could eat your results afterwards as well. Our next dish was called inari and for this, as well as the sheet of nori, we used some carrot, breaded chicken, seaweed, sushi rice and some shichimi powder, which I should point out, has a spicy kick to it. 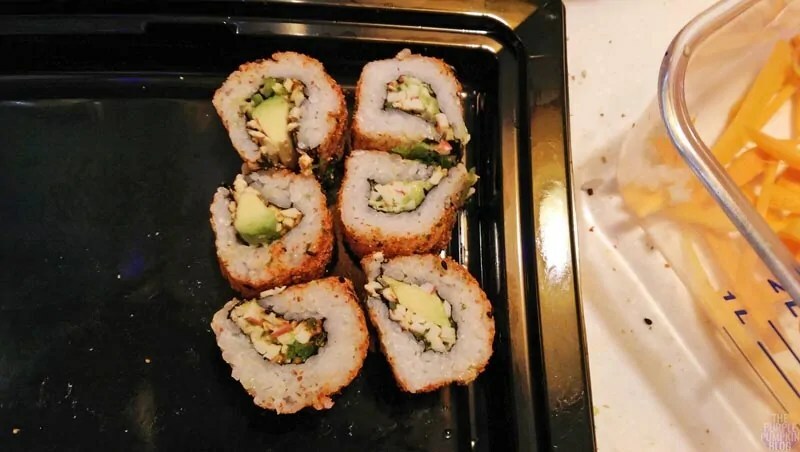 At this point I should add that we were never forced to put any of the ingredients into our sushi, so if there was something you didn’t like we didn’t have to use it. My somewhat questionable results are below and again, the ingredients are supposed to all be in the middle, but as it tasted so good to me, I didn’t really care! As part of our training, we made 3 further items; a vegetable futomaki, a California hand roll and a nigiri. Each time, we could eat our results as well, although by the end, we were so full up – the staff were kind enough to package these up for us so we could take it home. Looking back now, I would have to say that this was one of the funniest and most enjoyable nights out together we have ever had at work. The staff made us all feel very welcome and helped to explain things very well. And despite the initial scepticism of a few, I think everyone thoroughly enjoyed themselves and this proved to be a great team-building exercise for all of us. I would certainly not hesitate to recommend this to anyone else, so, if you ever have the chance, please give sushi school a go, you won’t regret it. And one final note, please don’t ever think that sushi is all about raw fish. Whilst some of the dishes are made with raw tuna or raw salmon, there are so many other things to try as well. Sushi School at Yo! Sushi costs £30 per person or £50 for two people. There is also a Mini Ninja Sushi School for children ages 6-10 years, and costs just £10 per child. 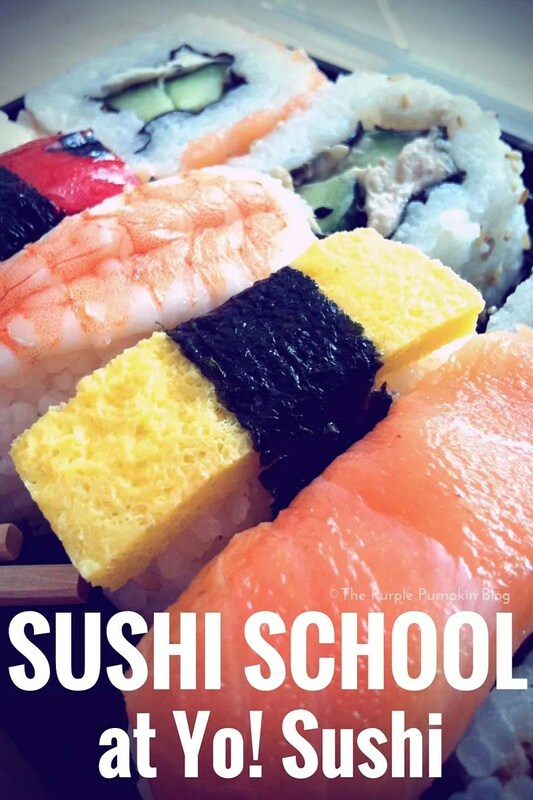 I hope you’ve enjoyed reading about my hubby’s Sushi School experience – if you enjoy sushi, it’s a fun thing to do! I’ll have to see if I can dig out the photos from when we went in 2010! You can read about two of our visits to Yo! Sushi over the years – at Westfield Shopping Centre, Stratford, and in Soho, London. I can also recommend the Yo! Sushi cookbook, which we have in our recipe book collection, if you want to have a go at sushi making at home!